it – book another cruise! 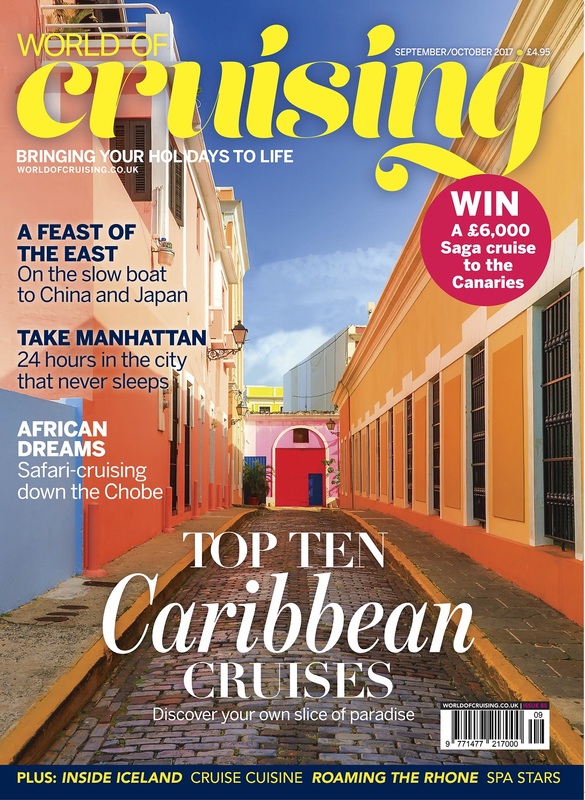 From an oriental voyage of discovery to a Caribbean top ten, and an African cruise safari to a king-crab hunt in Norway, this issue is packed with fabulous travel ideas. And if you just can’t choose between them, turn to page 69 to meet the growing army of specialist cruise agents whose job is to find the perfect holiday, just for you. Meanwhile, all of us here at WOC are thrilled to be nominated in this year’s Best Consumer Travel Magazine section of the British Travel Awards. You can vote online at britishtravelawards.com (hopefully for your favourite cruising magazine) and you can follow our progress, as well as ensuring you get all the latest cruise updates, by signing up to our newsletter.